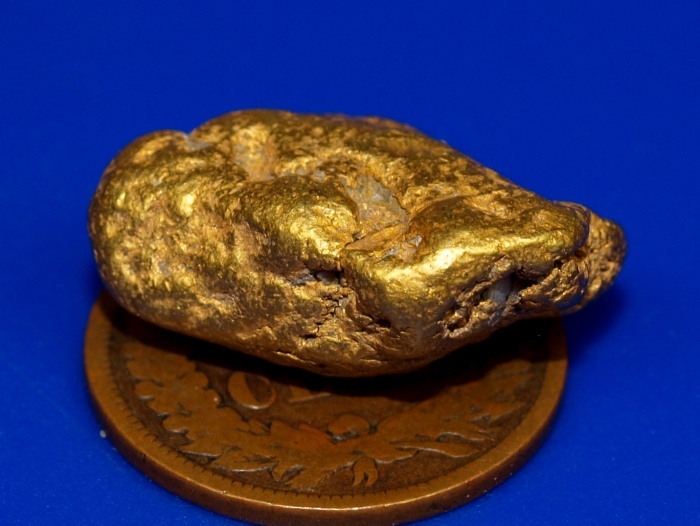 This is a nice chunky gold nugget that was found by a miner in Alaska. 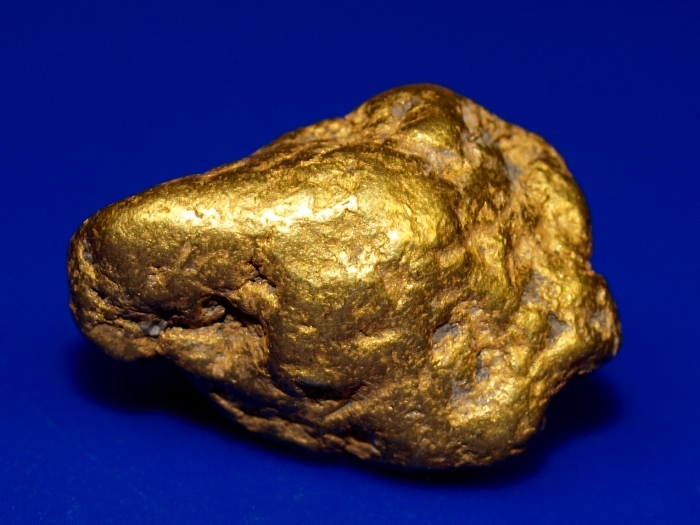 It is a hefty, dense natural gold nugget that weighs 10.35 grams (over 1/3 ozt.). 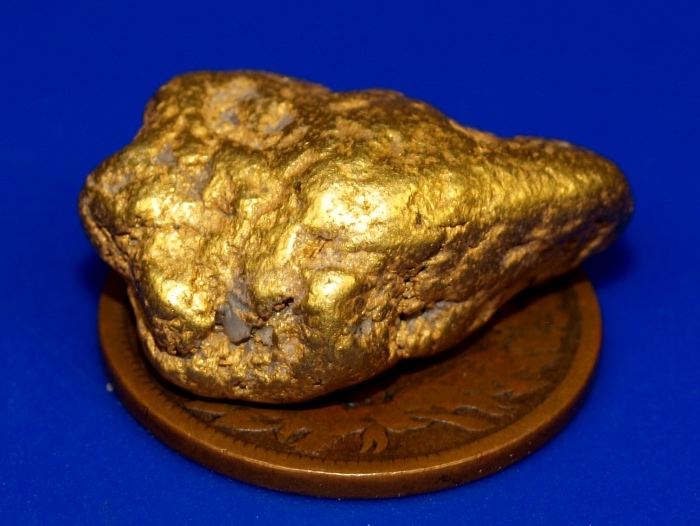 This gold nugget will ship for FREE and comes in a nice display case.